The history of the Gaston County Public Library spans more than 100 years. 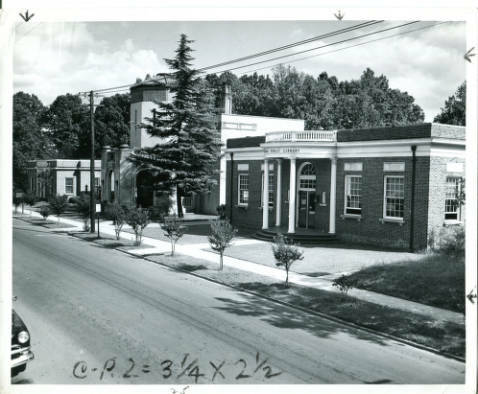 Opening in January 1905, the Gastonia Public Library later became the Gaston County Public Library in 1937. Gaston County then joined with Lincoln County in 1964 to form the two county Gaston-Lincoln Regional System. This system separated in 2012 and returned the Gaston County Public Library to the single county library of today. Select a decade to view a chronology of events in the history of the Gaston County Public Library. In 1900, Gastonia established a traveling library station with the H. Parmelee Library Company of Chicago. In a cooperative arrangement, Gastonia would exchange books with surrounding towns every three months allowing Gastonia members access to a new library on a rotating basis. 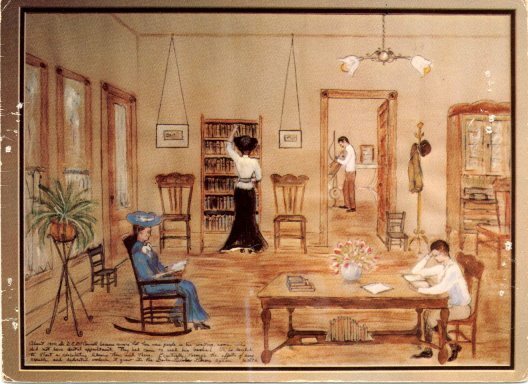 Dr. D. E. McConnell was made librarian of the library station located at his office. The collection consisted of fifty books and most of the selection was general literature such as the popular new book To Have and To Hold by Mary Johnston. 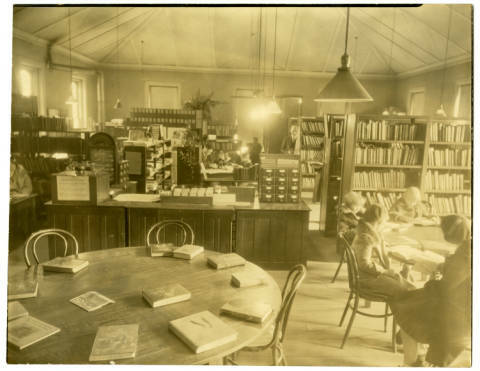 The subscription-based Gastonia Library officially opened Monday January 2, 1905 in the downtown Y.M.C.A. Hall, which the YMCA offered for use by the library. This library was established through the efforts of Dr. D. E. McConnell, the Gastonia Library Association, the Y.M.C.A, and many others. 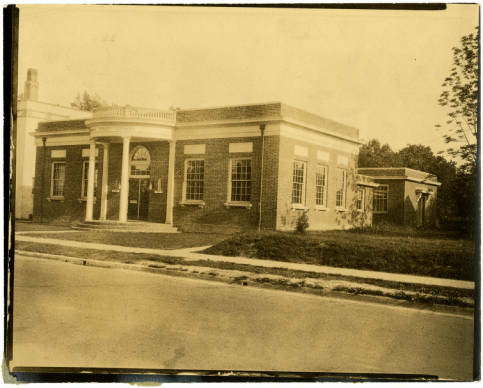 The Gastonia Public Library opened on 27 March 1931, in the new 115 West Second Avenue facility designed by architect Hugh E. White. The building contractor was C. W. Spencer. The new library building, which had a total cost of $25,000, was a gift from the Y.M.C.A. When the Gaston County Commissioners budgeted for Gastonia Public Library services, Gaston County residents no longer had to pay a user fee for access to the library. The names of ten writers were inscribed above the windows on the architecture of the library building. On the left side of the building were the three English writers Tennyson, Stevenson, and Browning. The four Southern writers O. Henry, Poe, Lanier, and Harris were inscribed on the front of the building. The three Northern writers on the right side were Lowell, Longfellow, and Emerson. 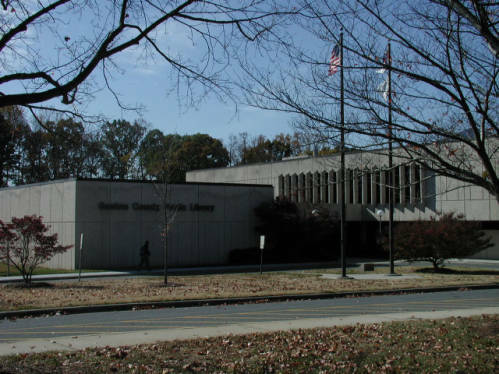 In 1937, the Library name was changed from Gastonia Public Library to Gaston County Public Library after Gastonia became the headquarters for the county library services and when the county began major financial support of the library. In 1978, the new Main Library building on 1555 East Garrison Blvd. in Gastonia at the corner of Churchill Drive opened for service to the public. Architect James C. Stewart of the firm of Stewart & Cooper Architects designed the new library building. The new 60,000 sq. ft. facility had initial shelving that would hold 250,000 volumes. Formal Dedication and Open House of the new $2.2 million library building at 1555 East Garrison Blvd. was on February 25, 1979.